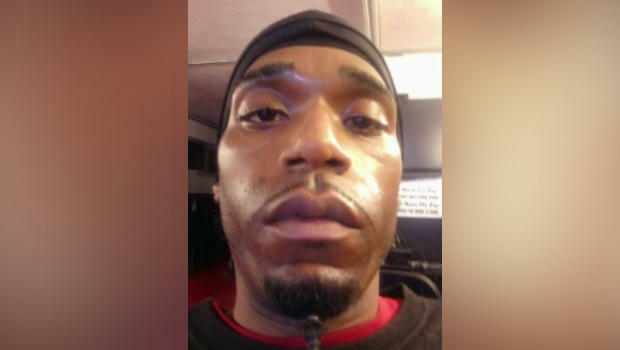 CHICAGO -- A community activist who has pushed for more police transparency said Monday that he's asked Chicago police for the body camera footage from all the officers at the scene where one of them fatally shot a black man over the weekend. More than 200 protesters showed up in Chicago's South Shore neighborhood Monday, protesting violence by police, CBS Chicago reports. The station reports unrelated violence broke out before the protest began. About 45 minutes before the protest, violence struck only one block away. Police secured the scene at 70thand Jeffrey, as two shooting victims were taken away by ambulance. The shooting happened only feet from the memorial for a barber who demonstrators were marching for. At a news conference Sunday to announce the release of the 51-second video, Johnson said the way the technology works is that there is a "30-second buffer period" without audio before the sound is activated. It is unclear why there is no sound throughout the entire video. After the shooting Saturday evening, tensions rose quickly, CBS Chicago reported. Dozens of people showed up, and at some point the officers had to push the crowd back. "We're pissed off; we're tired," community activist William Calloway said on Sunday the day after the shooting and standoff with officers. "You're killing us!" "Our voice is not gonna be silenced." Calloway demanded the police release the video of the shooting immediately. "We don't trust what CPD says. Show us. Don't wait 60 days. Show the community now." Johnson said Sunday that release of the video one day after the shooting was the quickest he had ever ordered such a disclosure. He said that he did so to avoid a repeat of the clashes between angry residents and police that took place Saturday night. Protesters threw rocks and bottles -- some filled with urine -- at police and officers responded by hitting some demonstrators with their batons.